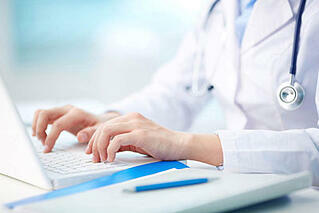 As a result of its’ multiple advantages, the Intranet has become an indispensable tool in hospitals. It can streamline communication between staff and enhance efficiency in ways that traditional modes of communication cannot. Office Intranets have undergone improvements since their early days of clunky interfaces. The design of modern hospital Intranet software is comparable to the social networks that you may use to keep in touch with friends and relatives, both in utility and function. For instance, the hospitals using these internal communication microsites make it easy for leadership and stakeholders to improve and increase engagement between employees. Many hospital administrators forget about the importance of engaging with employees and physicians. Your staff wants to feel that they are heard and valued. Your internal communications software makes fostering open dialogues simple and efficient. Here are some ways you can help your employees make the most out of your Hospital Intranet. The best thing about modern Intranets is that they are simple content management systems that you can tweak, customize and configure to build unique social communities. With class registration, training tracking tools and more, your employees can learn to easily navigate their portals and update content in order to maximize the experience and get the most out of the community. Depending on the vendor you select, they might have self-service training tools for their Intranet product that your group can easily access from their systems. A well-designed survey is an excellent way to find out if employees are benefiting from your hospital Intranet or not. Keep the questions simple, straightforward and open-ended. This ensures that the answers you receive are useful, rather than just a ‘yes’ or ‘no’. Try to keep the survey short, because the longer the survey, the less likely for it to get completed. Simple survey tools are easily crafted within most modern Intranets. With custom workflows, the survey can reach the appropriate end users. A newsfeed feature on your Intranet can be very useful. If you utilize it properly, it can become a central access point to vital information about hospital or employee achievements, social community, office parties and other important announcements. Many Intranets contain a way to pull in newsfeeds from third party resources like the CDC or Joint Commission. With this feature, your staff can stay current on the latest updates within their roles and within the entire industry. The bottom line: the hospital Intranet is an amazing medium to engage with your hospital staff and support the workplace culture and business processes like policies and procedures management activities as well as your internal communications. When properly utilizing the Intranet, your employees will be well-informed, efficient and empowered which drives productivity so your staff can work smarter, not harder.